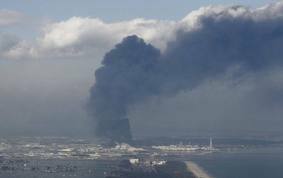 Why There Is No "Safe" Level Of Radiation from Fukushima. "There is no safe dose of radiation"
While a highly coordinated effort is underway by the nuclear industry, mainstream media, medical establishment and world governments to define, justify and reinforce a "safe level of radioactivity" pertaining to the air, the water, the food, and our bodies, the unspoken truth contained within the precautionary principle that there is no safe dose of radiation, nor a safe level of exposure to the 200+ radioisotopes released by the Fukushima reactor complex meltdown, is but an inaudible whisper in the cacophony of a world dominated by universal deception. Regardless of whether we chose to pay attention or not, over the past month a massive number of radiotoxic and genotoxic particles have been released into the atmosphere, oceans and biosphere, and due to the continuous westerly circular flow of the Jet stream no one in the Northern latitudes will be spared some degree of exposure as time proceeds. The question of exposure should not be "if" but "when," and "how" we deal with it once it happens. 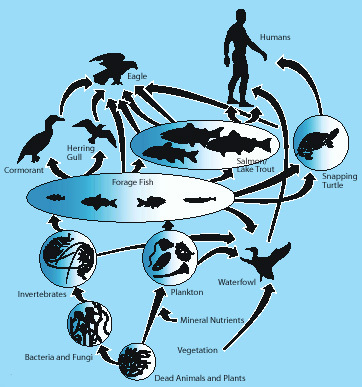 Cesium-137 for instance, has a half-life of 30 years (90 years later 12.5% of its radioactivity remains), and due to its similarity to potassium will make its way up the food chain bioaccumulating and distributing broadly in the tissues of both plants and animals as it goes. 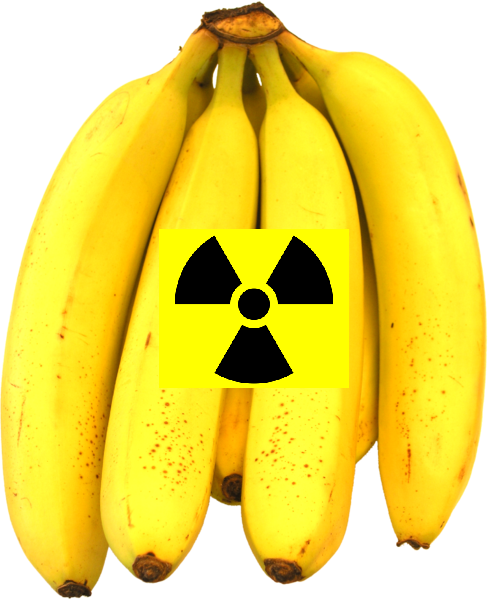 Eventually all such radioisotopes must meet mankind who is perched precariously on top of an unsustainable, highly toxic food pyramid of his own making, and from which he has an exceedingly difficult time escaping and/or detoxifying. 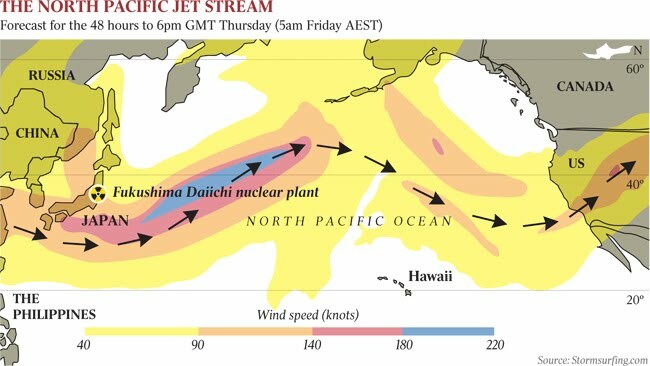 Sufficient evidence exists that certain populations in the United States are already being exposed in their water and food, and until the Fukushima reactor complex stops emptying radioactive material directly into the environment, things are only going to get worse. (Examples: "Radioiodine-131 in rainwater sample near San Fran. 18,100% above federal drinking water standards." "Radiation Detected In Drinking Water In 13 More US Cities, Cesium-137 In Vermont Milk"). "Licensing a nuclear power plant is in my view, licensing random premeditated murder. First of all, when you license a plant, you know what you're doing--so it's premeditated. You can't say, "I didn't know." 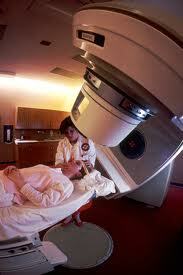 Second, the evidence on radiation-producing cancer is beyond doubt. I've worked fifteen years on it [as of 1982], and so have many others. It is not a question any more: radiation produces cancer, and the evidence is good all the way down to the lowest doses. " "The nuclear industry is waging a war against humanity." This war has now entered an endgame which will decide the survival of the human race. Not from sudden nuclear war. But from the on-going and incremental nuclear war which began with the releases to the biosphere in the 60s of all the atmospheric test fallout, and which has continued inexorably since then through Windscale, Kyshtym, 3-Mile Island, Chernobyl, Hanford, Sellafield, La Hague, Iraq and now Fukushima, accompanied by parallel increases in cancer rates and fertility loss to the human race." Were it not for half a century of "nuclear medicine," "radiotherapy," "electronic pasteurization," and related oxymoronic "humanitarian" and "therapeutic" applications of weapons and fuel sources of mass destruction, or the concerted effort to cover-up the human and planetary harms caused by the wartime use of depleted uranium, nuclear accidents and intentional industry emissions, we might not be so resistant to understanding just how serious the Fukushima reactor meltdown is, and will continue to be. Can anything be more serious than Plutonium-239 having a half-life of 24,100 years and Uranium-238 having a half-life of 4.4 BILLION years? If this event does not bring to our awareness why the nuclear industry must be dismantled, and will be dismantled, if not by us, than the Earth itself, then you have not been paying attention. Failing to see the necessity of this transition, is failing to understand a path forward for our species. of Years to heat water that moves steam powered turbines. The nuclear radiation risk models used by the nuclear industry and the medical establishment and harped upon by the mainstrem media and world governments, were created largely by nuclear physicists in the 1950's, before the discovery of DNA, and are based upon the type of high energy external radiation exposures associated with the atomic bomb blast in Hiroshima. Although radiosotopes like Uranium-238 give off relatively low doses of ionizing radiation when compared to "high dose" external radiation exposure (such that may occur in a nuclear blast), following inhalation or ingestion these alpha particle emitters remain in affected tissues and cells for days, months, years and in some cases, a (subsequently shortened) lifetime, e.g. Strontium-90. The widespread ignorance over the true dangers associated with "internal radiation exposures" make it possible for CNN's Sanja Gupta and similar "experts" to (mis)inform the public with all earnestness that radiation associated with the Fukushima meltdown and atmospheric release are of no concern, and is why those who wish to exercise the precautionary principle are often labeled "fear mongers" or "radiophobes." When pundits talk about passive radiation exposure from a long airplane trip or eating banana being of similar radiotoxicity to the kind presented by a nuclear meltdown, they are reinforcing the fundamental myth of the nuclear age: that releases like Three Mile Island, Chernobyl and now Fukushima are concerns to health only insofar as they involve external doses of radiation high enough to cause acute damage. The dirty secret that the largely cheerleading function of mainstream media conceals on behalf of the nuclear industry is that exceedingly low levels of internalizaed radioisotopes may do exponentionally more harm than present radiation risk models allow for. In order to understand the absurdity of drawing a one-to-one comparison between external and internal radiation exposures, Professor Chris Busby (Scientific Secreatry for the European Comittee on Radiation Risk) draws the analogy between direct comparison between external radiation and internal radiation exposures with warming oneself in front of a fire and eating a red hot coal. Indeed, the public is being lulled into pulling up a comfy chair to warm themselves by the radioactive fire of a disaster the scale of which this world has never known before. "The presentation in 2003 of the new radiation exposure model of the European Committee on Radiation Risk caused something of a revolution in the focus of scientists and politicians on the adequacy of previous scientific theories of the effects of radiation on living systems. This was long overdue, of course, since evidence has been available for more than 40 years that it was unsafe to use studies of external acute radiation to inform about risk from internal chronic exposures to evolutionarily novel radionuclides. Such a scientific paradigm shift is not easy: the course and direction of the nuclear, military, economic and political machine dedicated to the development of nuclear energy and its military applications is monolithic and has massive inertia." In that report the ECRR showed that the older models of radiation risk used by the International Commission on Radiological Protection (ICRP) and the United Nations Scientific Committee on the Effects of Atomic Radiation (UNSCEAR), were clearly wrong and profoundly minimized the adverse health consequences associated with nuclear reactor meltdowns or the use of depleted uranium for military armour and munitions. When the ECRR compared its results to that of the ICRP for total number of deaths resulting from the nuclear project since 1945 the ICRP results in 1, 173,600 million deaths from cancer. The ECRR model predicts 61,600,000 deaths from cancer, 1,600,000 infant deaths and 1,900,000 fetal deaths. In addition the ECRR predicted a 10% loss of life quality integrated over all diseases and conditions in those who were exposed over the period of global weapons fallout. I highly suggest you take the time to either read the ECRR document or watch Professor Chris Busby's video. The information is life-changing, or put differently, describes how the nuclear fuel cycle and the industries it feeds has already changed the lives (and the potential for future life) of all creatures on this planet. Due to the fact that we can not look to conventional sources of information, e.g. EPA, CNN, President Obama, for the truth on radiation exposure levels and associated toxicity, we may need to do some sleuthing on our own. This youtube channel run by "Dutchsinse" provides daily meterological updates on the Fukushima fallout using scientific resources in the public domain. I have included his links beneath the video to encourage further research and fact-checking. Here is a list of the radioactive particles in the air taken from the 3-16-11 on ZAMG site. Higher plumes, reaching 5000 meters (15,000 feet) are forecast to reach Portugal, Spain, and central europe. All animations are from professional forecasting services. Links are below. I have spent several weeks improving the section on Radiation Disaster Associated Toxicity, to include sections (under "Associated Content") on the individual radioisotopes involved, e.g. CS-238, RI-131, etc. and research showing natural substances which may reduce absorption, radiotoxicity and increase excretion. Please share this resource with others, particularly those in regions most directly affected by this event. Follow our future posts about the Nuclear Disaster Health Impacts on this Facebook page. Also this is an excellent resource to bookmark for future updates. The superior physician prevents the disease from ever occurring.